Well, I can go on with a long list of the pros and cons of infill planes versus wooden planes, but for me the main reason is stability. Yes, a well tuned wooden plane can be beautiful to use. 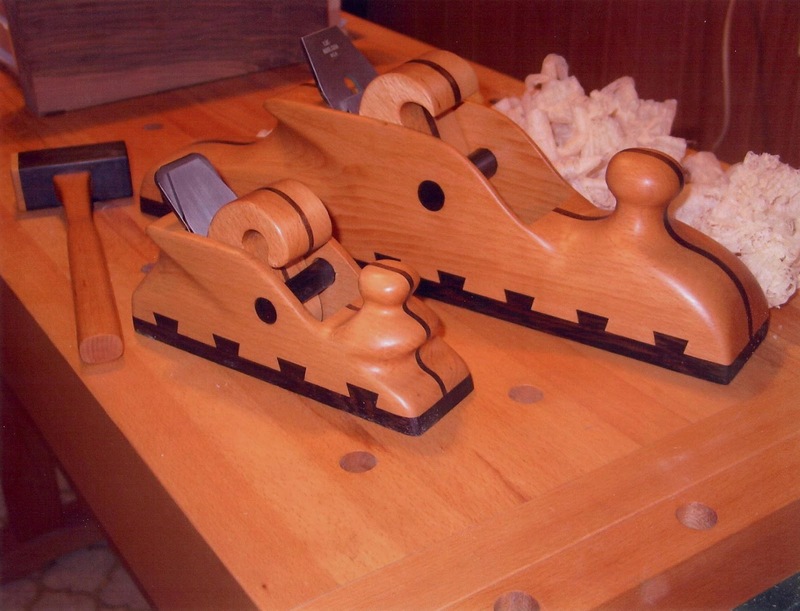 For years I used even my not so great wood planes to produce some nice work. 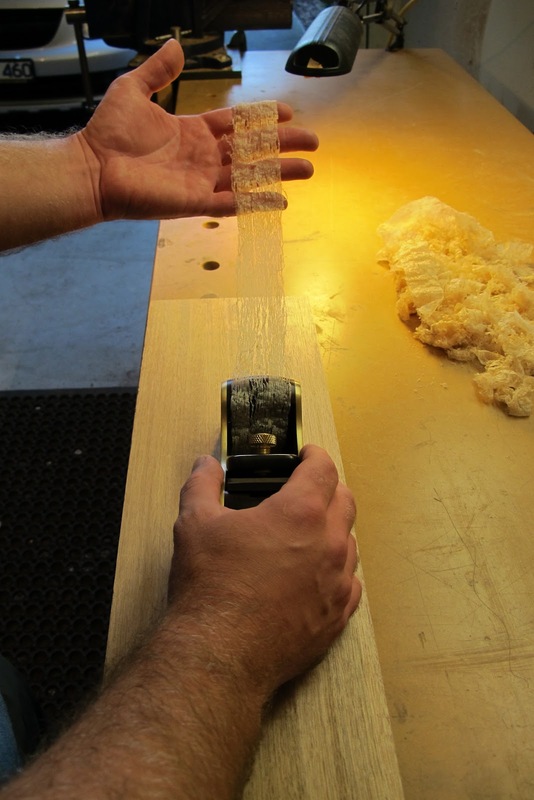 However, you can have your wooden smoothing plane tuned to take gossamer shavings on Monday, but when you pick it up again on Thursday it's not performing at all. This could be a little bit of an exaggeration but the bottom line is that not all planing operations are premeditated. So when I reach for a plane, I want it's performance to be consistent with the last time I used it. When I moved to Australia, my wife and I rented a small house with a tiny, one car garage. Securing work in industry as a Cabinetmaker was not difficult, but as always I craved to do some more fine detailed work at home. While shopping one day I purchased a copy of British Woodworking Magazine, which had an article about plane maker Bill Carter. I was blown away by the quality of the infill planes he made in his tiny shed using only hand tools. After reading the article I thought that this could be the perfect challenge I was looking for. Working steel and brass was foreign to me but I also was aware that many infill plane makers, including Bill Carter, came from woodworking backgrounds. I had all of my hand tools from Canada so I only needed to purchase a drill press for accurate hole drilling. I had an idea of making a set of small infill planes based on the low-slung planes that were popularized by James Krenov. I set to the task of drawing, then constructing, the prototype. Here is a picture of the rough materials and the finished plane. The infill wood is Pau Rosa, purchased from a local turning shop. I was extremely happy with the comfort and the aesthetic and the best way to describe it's performance was "Rock Solid". The mass for such a small plane was impressive and, unlike my wooden planes, I could achieve a virtually non-existent mouth opening without constant clogging. After the prototype I made a few changes and started drawing and constructing a full set of planes, which are shown in the next photo. 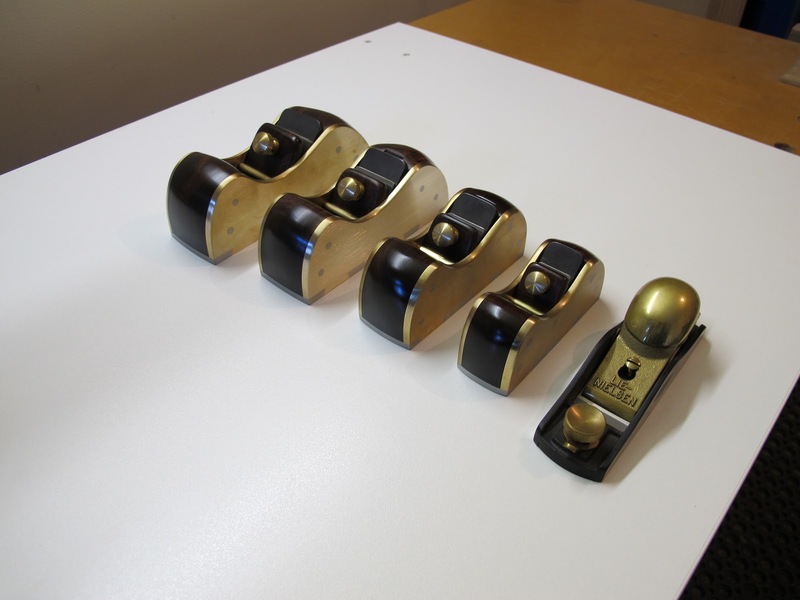 The Lie-Neilson block plane shows the scale of the set. The infill wood is Australian Gidgee. Many woodworkers today use machines for roughly forming the dimensions of their work, but still enjoy using hand tools for the more sensitive, detailed work. I find these small smoothing planes that I have made very useful and versatile. Any one of these planes can be used in one hand or two however, the two smaller sizes are better suited for this purpose. I do plan on making more traditional Norris and Speirs' type smoothers (they are beautiful). But, most traditional, small "bevel down" infill smoothing planes cannot be held comfortably in two hands for smoothing or one hand like a block plane, which I think is a true advantage of my current design. I will give more examples of this versatility in later blogs. In my next blog I will talk about the tiny coffin shape (squirrel tail) plane that you can view in the Gallery. It is basically my infill version of the Stanley #100.